The corporation received its cultivation licence for JWC 2 from Health Canada on March 29, 2019. 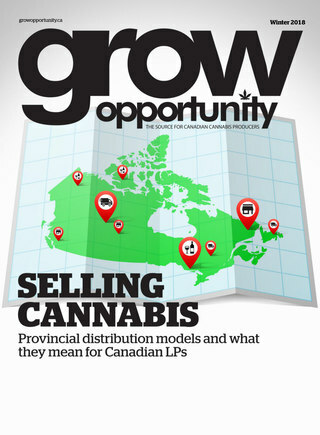 “I am proud of the efforts of our entire organization; and I am proud to say that within only 24 hours of receiving the licence, 50 per cent of our flowering rooms were full and active, and thousands of plants have populated the facility,” said Nathan Woodworth, president and chief executive officer of James E. Wagner Cultivation. The licence is issued in respect of Phase 1 of the construction of JWC 2. At full-scale, JWC 2 measures 345,000 sq. ft. and is expected to be fully equipped with the corporation’s GrowthSTORM Dual Droplet System. The proprietary GrowthSTORM Dual Droplet System is a cultivation system that uses two separate nutrient solutions, delivered through two distinct channels, all housed within a single enclosure. Immediately upon receipt of the licence, the team at JWC began a variety of cultivation and production activities at JWC 2, according to a release. Four of the eight flowering rooms and vegetative space in Phase 1 of JWC 2 are now in full production with a variety of strains of cannabis plants transferred from the corporation’s pilot facility, JWC 1. The corporation said it expects that over time, 43 new strains of cannabis will be introduced for production at JWC 2.